After our coffee roasting workshop at Coffee Area in the morning, and a lovely lunch at the Carton King Creativity Park, as part of our 5D4N Whirlwind Sponsored trip to Taiwan, it was time to move on to our 2nd hands on event at Chun Shui Tang. 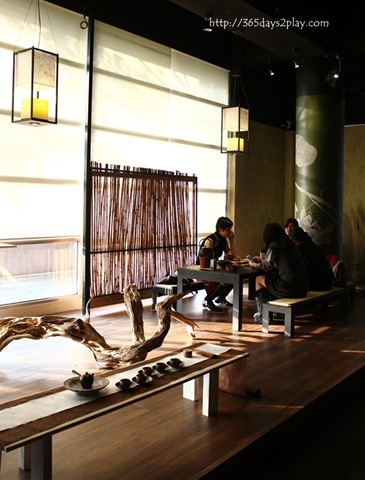 Many of us are familiar with GongCha, Koi and ShareTea as bubble tea shops hailing from good old Taiwan. However, I don’t think many of us will have heard about Chun Shui Tang. 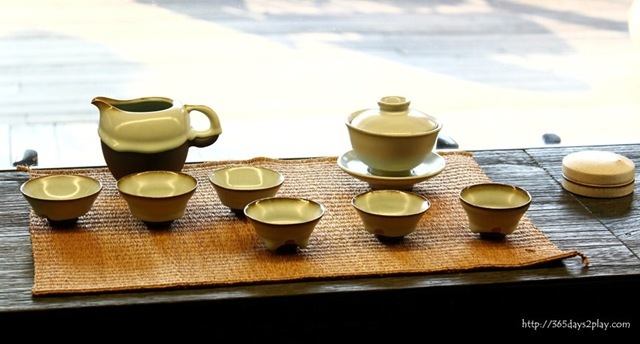 They are also a Pearl Tea shop, with 30 years of history. 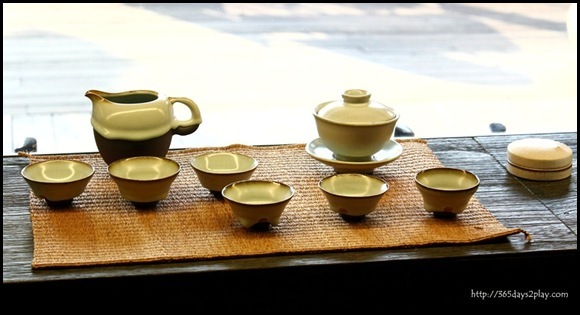 Chun Shui Tang claims to have been the first to invent the Taiwanese Pearl Milk Tea. I’m not so sure if this is true, because one taxi driver we met told us that this is a drink with decades of history. The story has it that because the villagers were poor, they used to add tapioca balls to baby’s milk to help fill up the babies. One day, there was a bit of left over tapioca balls so it was put inside some milk tea which happened to be around. No prizes for guessing what happened next. Whatever be the truth, it doesn’t detract from the fact that Chun Shui Tang has THE BEST TAIWANESE BUBBLE TEA I have ever had to date! I haven’t tried all that many bubble teas, but compared to Koi and GongCha in Singapore, it’s just WAY BETTER! SERIOUS! I tried both the red bubble tea without milk and the milk bubble tea. Both were fantastic! The tea taste really comes through, especially for the without milk version. 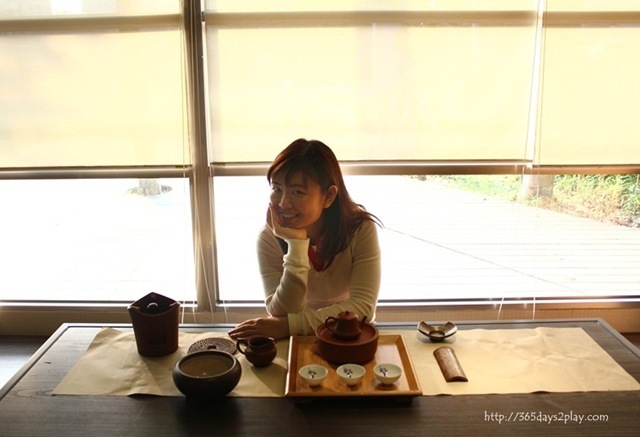 For the milk bubble tea, the milk has a lightness to it and the tea taste is also strong. I don’t feel like I’m chugging down a milk drink flavoured with tea. I feel like I am really having tea, with milk! What’s even more amazing is that I assembled the 2 drinks myself. Considering the fact that I could have put in a little too much of tea, or too much of milk powder, it just goes to show how good the base ingredients were. At least that seems to be the case. Before I jump into the pictures of the bubble tea making process, let me first showcase a few photos of Chun Shui Tang teahouse. Love the place to bits! 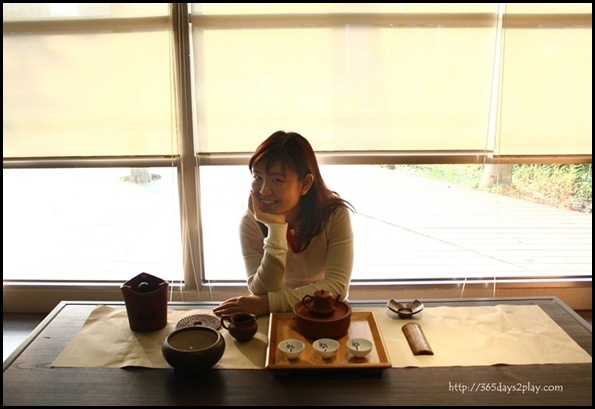 The Taichung people believe that a great day is a day spent having afternoon tea. Nothing epitomises that philosophy better than a pretty and inviting tea house, housed in the National Taiwan Museum of Fine Arts. The national museum is located in Taichung, and not Taipei, presumably because the Taichung people are more attuned to the arts?